Before modern heating, people in some parts of the world would sleep with their dogs to stay warm. A three-dog night, then, is a metaphor for frigid night. Dogs on farms work from dawn till dusk. Because it’s sometimes considered insulting to be referred to as a dog, this saying was likely invented to refer to sometimes-exploited “grunt” workers. Nowadays it’s not necessarily insulting if somebody says you worked like a dog, because it means you worked hard. However, it would be offense if a higher up told you he or she intended to work you like a dog. An old English proverb states that “Dog does not eat dog,” implying that that dogs treat each other better than humans treat each other. Therefore, any situation that would drive a metaphorical dog to eat another metaphorical dog is a vicious and cutthroat situation indeed, perhaps one that drives people to bend the rules to get ahead. Sirius, the dog star in the Roman dog constellation, Canis Major, occurs from July 3 to August 11, which is the hottest part of summer in most parts of the northern hemisphere. 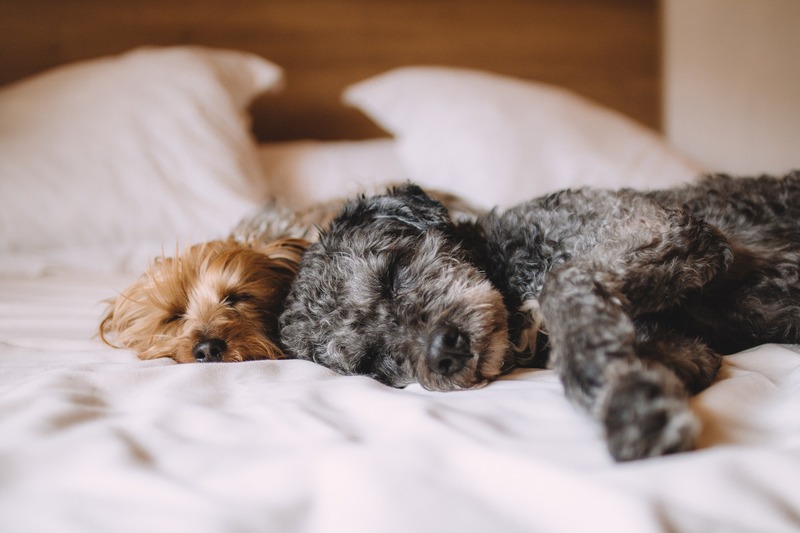 Some dogs, particularly puppies, will lash out and bite if startled from their slumber. The saying is a metaphor that suggests it’s prudent to leave something be than to rock the boat and cause potential problems. The origins of this phrase aren’t clear, but most dog owners know that if a dog wants something, say a bone or toy, it will work treeless to get it. If you found these sayings interesting, be sure to check out our next installation of dog-related sayings.